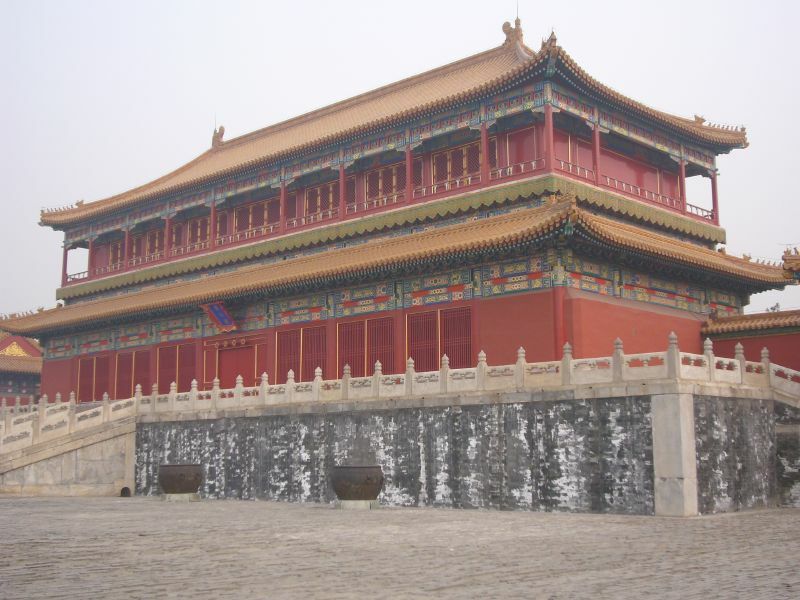 Forbidden City (紫禁城) was declared a World Heritage Site in 1987 by UNESCO. 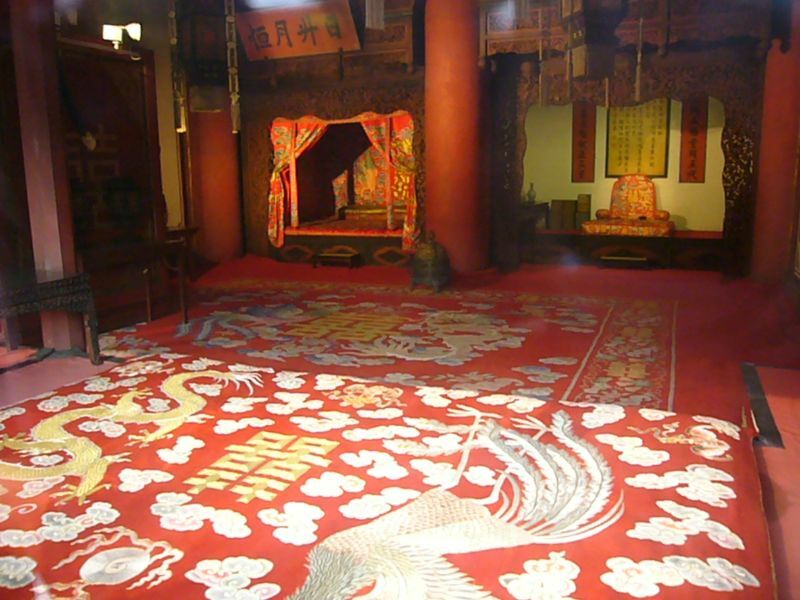 Widely lauded as the largest collection of preserved ancient wooden structures in the world, the huge and sprawling complex at the centre of the city was the home of Ming and Qing Dynasty emperors in China. Built from 1406 to 1420, the palatial city comprises 980 surviving buildings with 8,707 bays of rooms and covers 720,000 square metres! 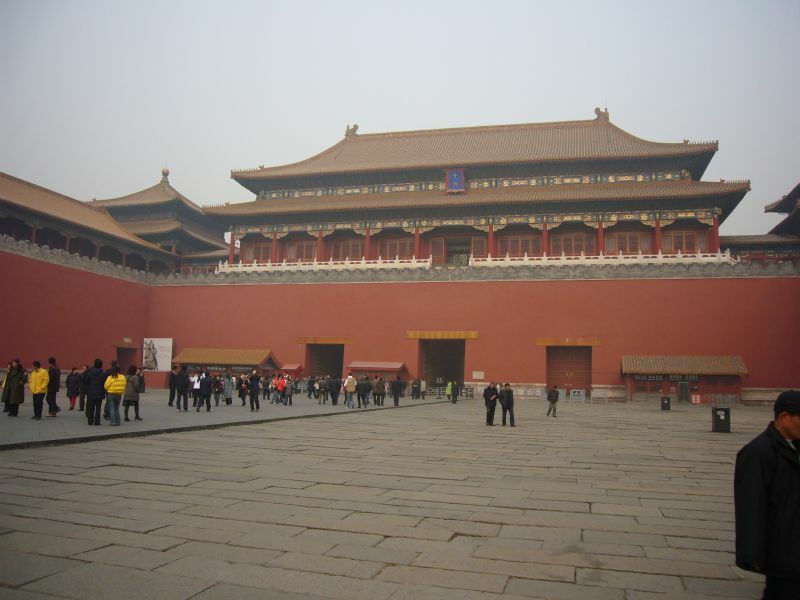 The world's largest surviving palace complex, the palace is also widely known as Gugong (故宫) in Mandarin. It now houses the Palace Museum, which probably qualifies as the world's largest museum too - if you exclude botanic gardens and zoos. This was also where the Last Emperor (1987) directed and produced by acclaimed Italian film maker Bernardo Bertolucci was filmed. 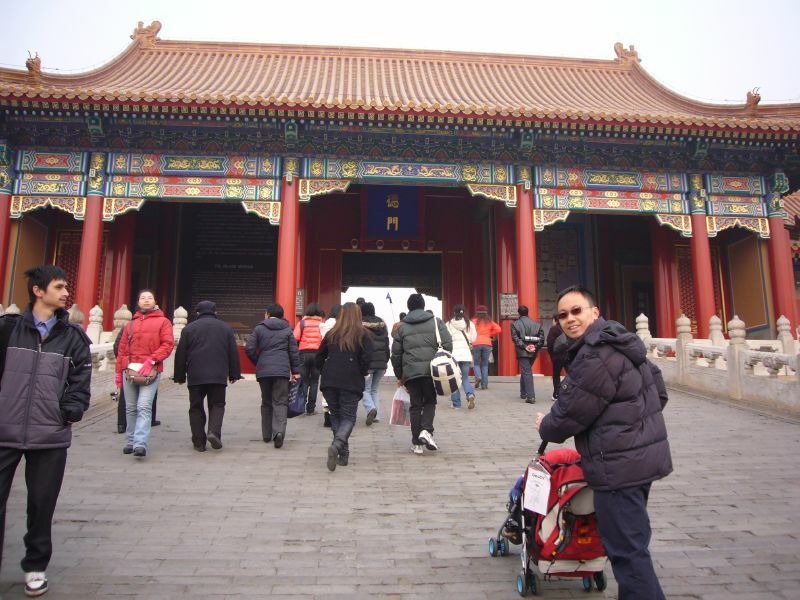 The characteristic red walls and iconic architecture of the Forbidden City is impressive to behold. Engaging a local guide was one of the best decisions which we made. 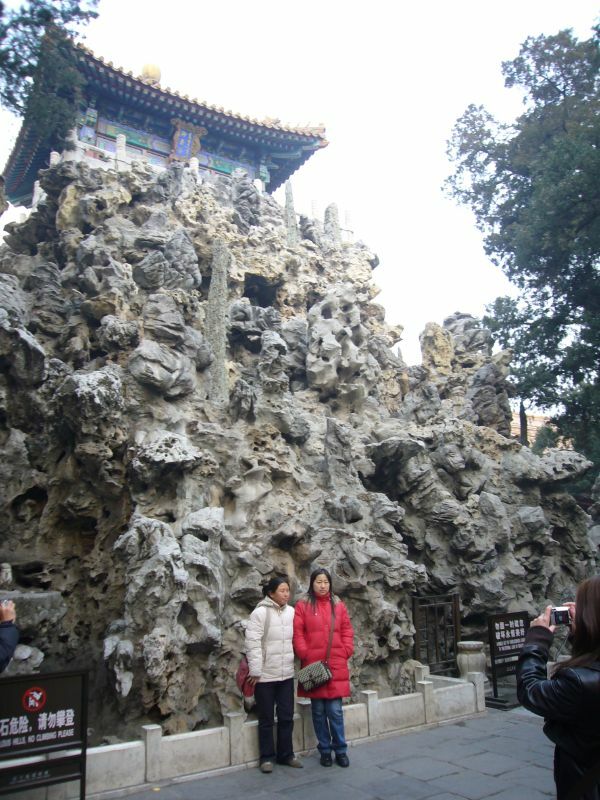 Never go to a historic site in Beijing without them, even though you do have to pay a small sum for the service. 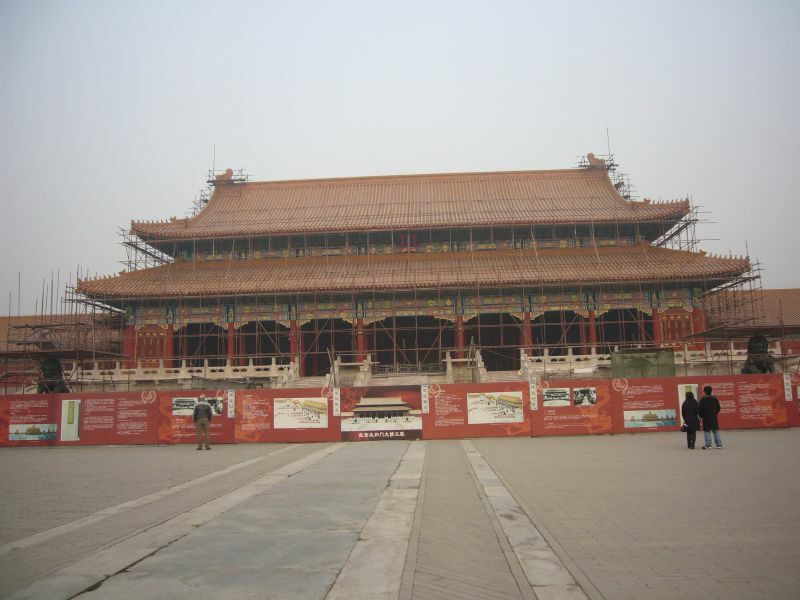 This is the Hall of Supreme Harmony, which unfortunately was undergoing renovation then. It is also the most important building the complex. Walking through the Zhao De Gate, which was where scholars were supposed to walk past when seeking an audience with the emperor. 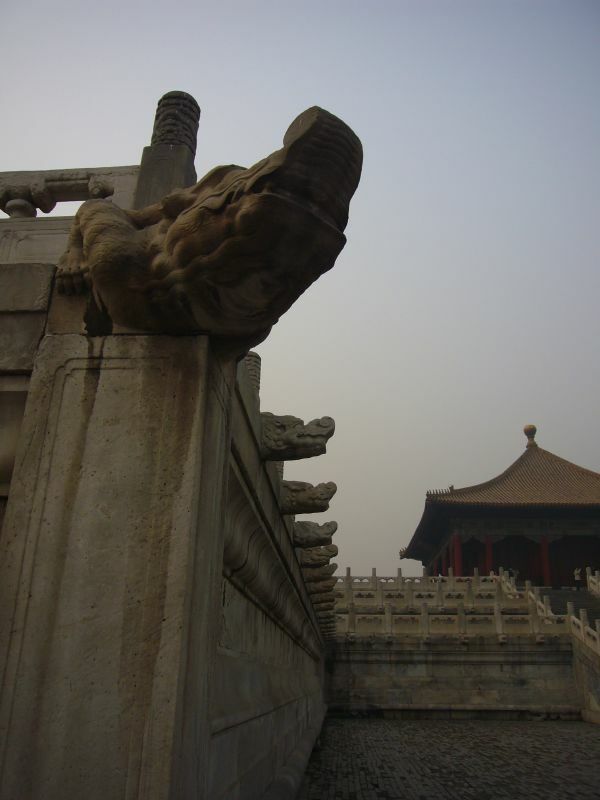 These dragon heads (long tou) served important functions as part of an elaborate drainage system in the series of buildings. 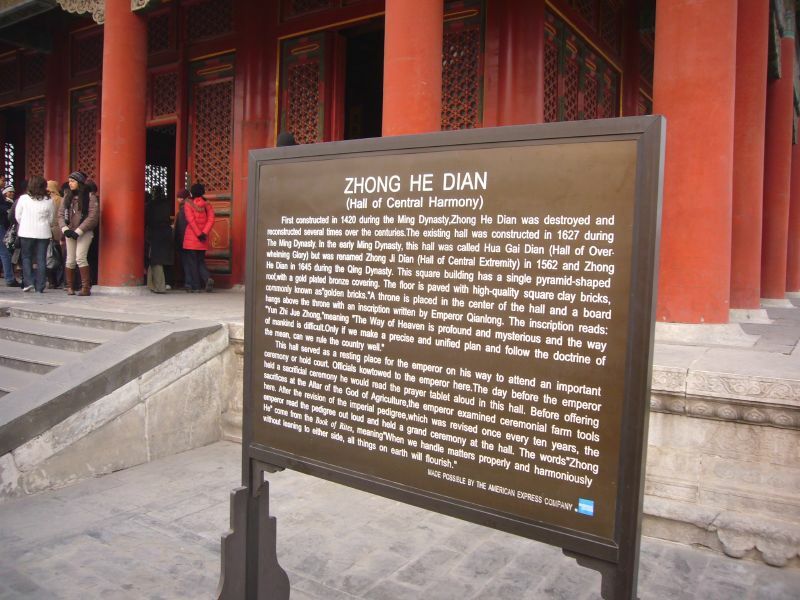 Our next stop was the Hall of Central Harmony or Zhong He Dian. 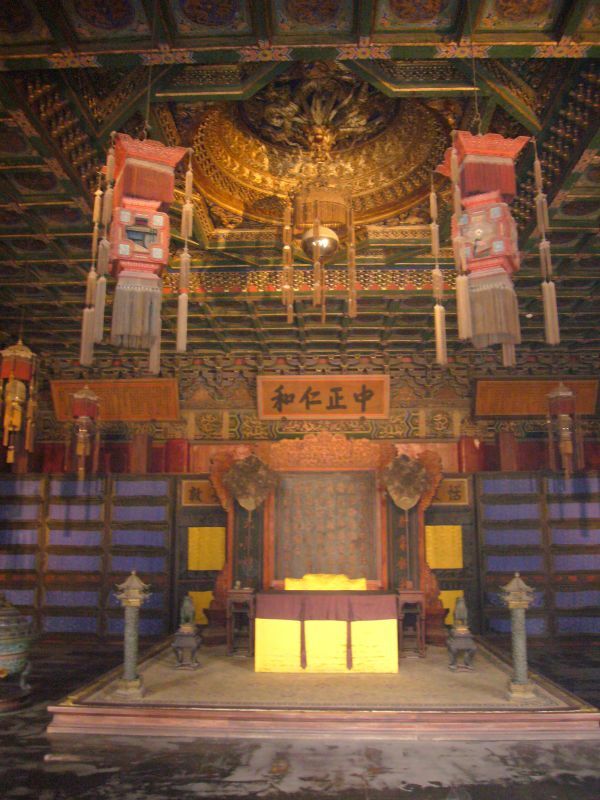 This was a secondary inner hall, which is one of many where the then emperor consorts with his people. 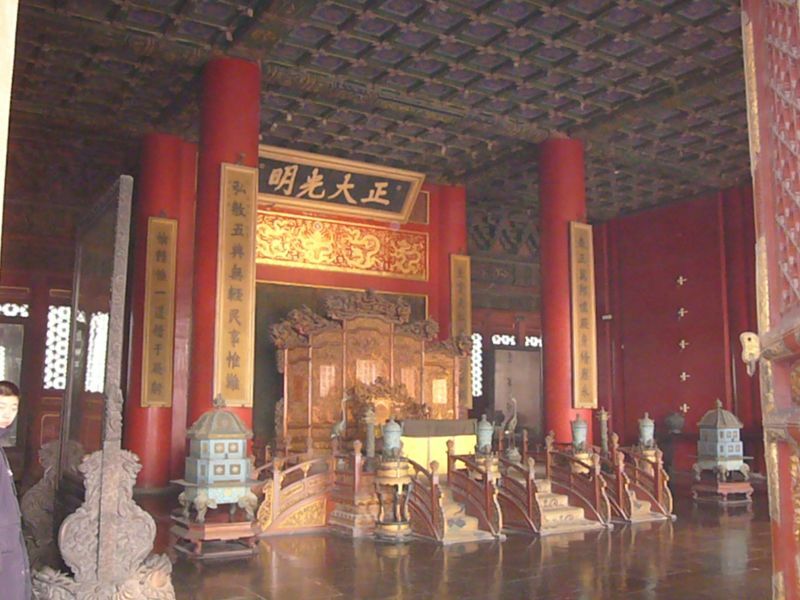 An external view of the Hall of Central Harmony, showing the distinctive architecture of royal buildings during that era. 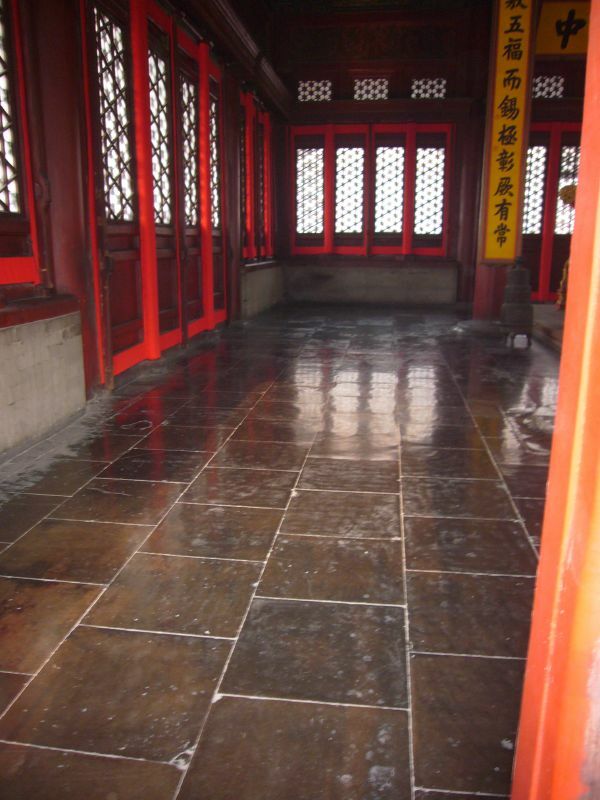 The halls of some of the major buildings were paved with golden bricks (金砖) which hailed all the way from Suzhou. Apparently, they provided a smooth sheen which became smoother over the years. 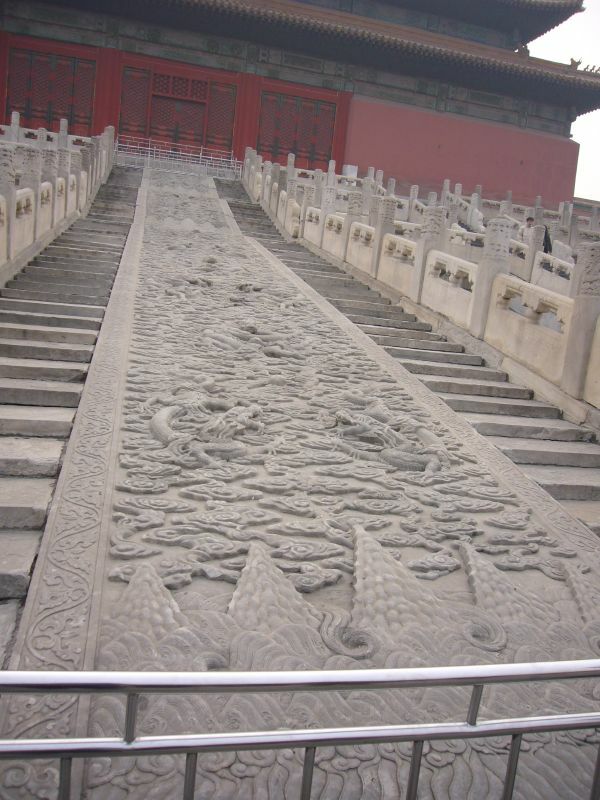 This 16 metre long stone slab of carved dragons rolling in clouds is the largest in the palace. 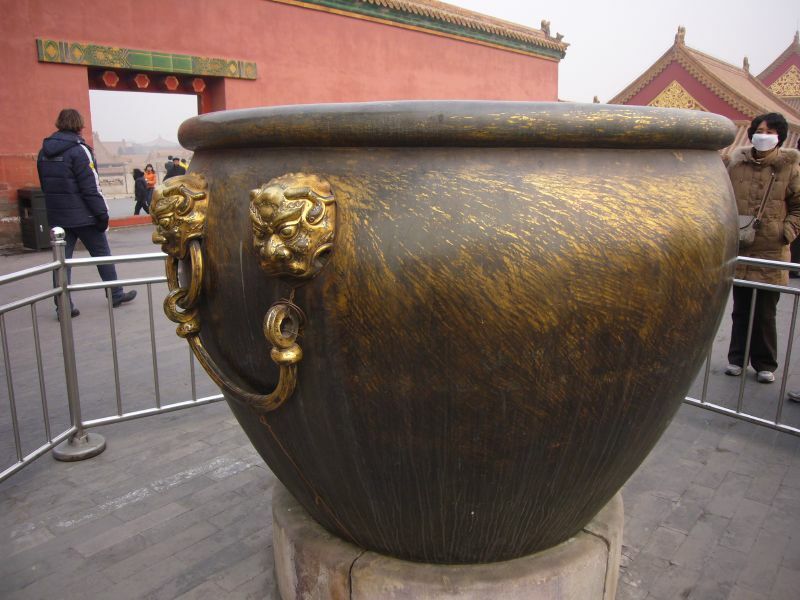 Huge brass urns like these were used to collect water for - surprise, surprise - firefighting purposes! I guess their civil defence officers then were pretty strong to lift these back breakers! 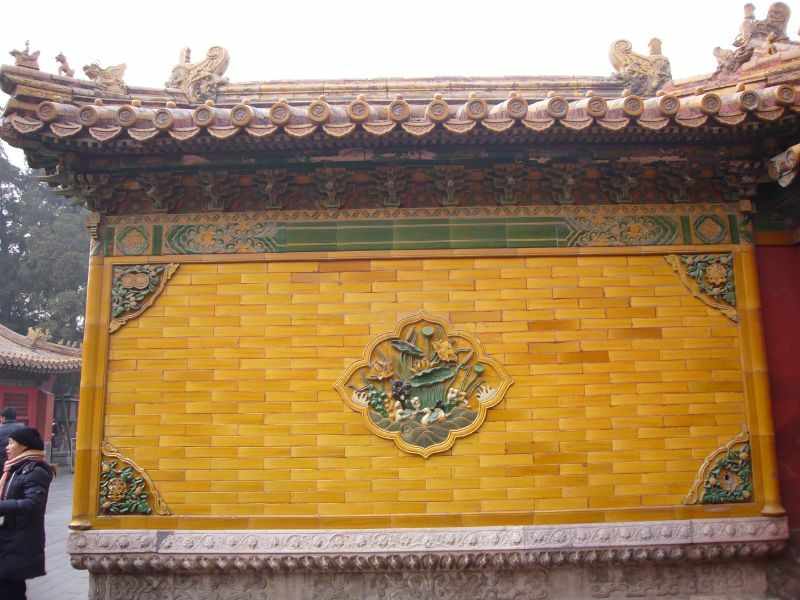 This pretty yellow wall actually served a function in reflecting unwanted ghosts and spirits from the inner residential quarters of the emperor. 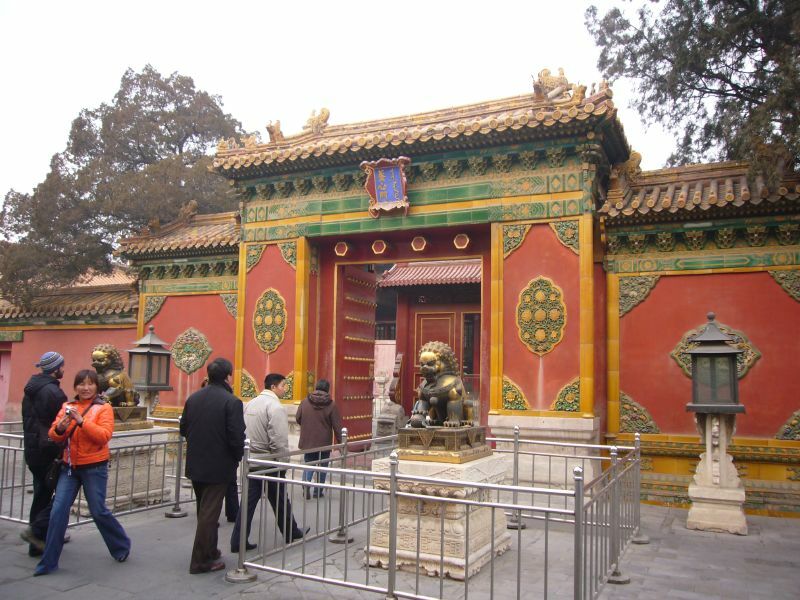 The entrance to the Yang Xin Dian or Hall of Mental Cultivation, which was where the emperor rested and lived. A shot of the chair within the chamber where the emperor sits. Notice the hanging shiny ball above, which will supposedly drop and crash down on a "fake" pretender to the throne. 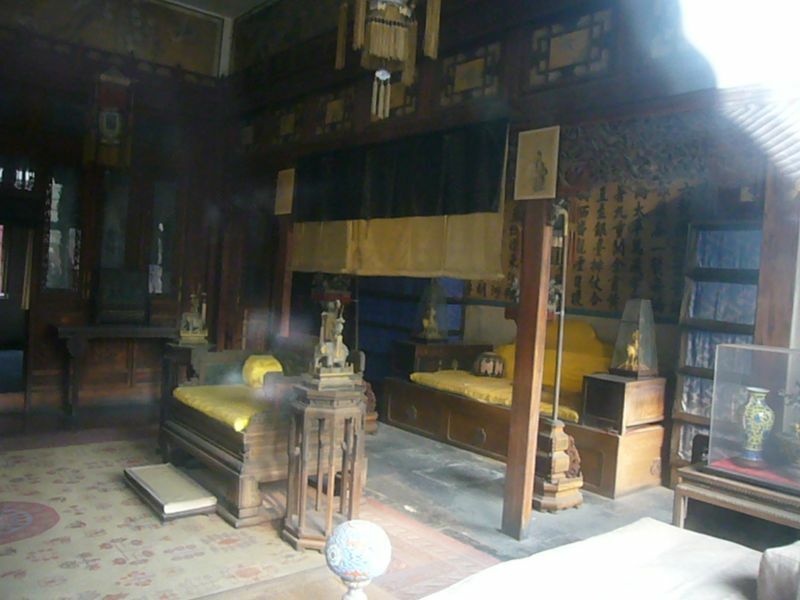 This series of two chairs lined one behind the other is interesting, as it shows the emperor in front was actually controlled by the Empress Dowager Cixi - the real woman behind the men! ...and another of the empress in her bedroom, which certainly isn't too shabby either. 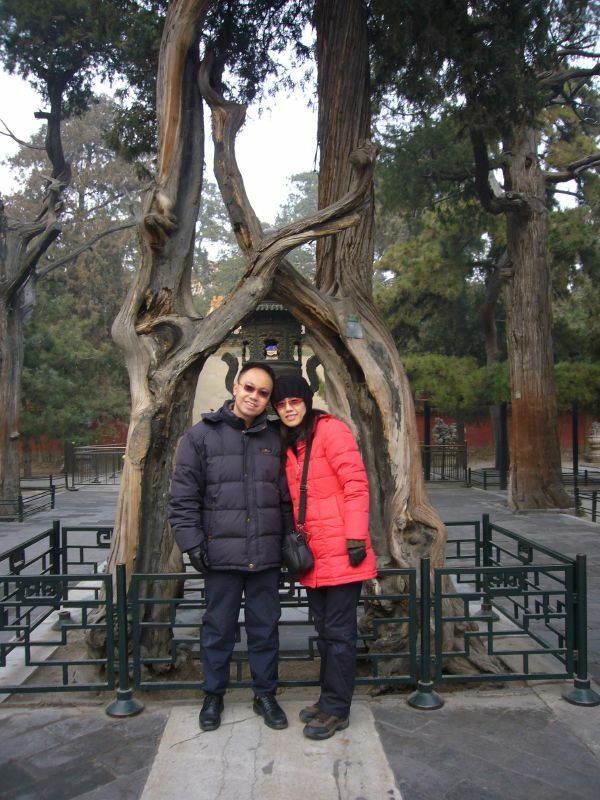 We next ventured into the royal gardens, here taking a lovey dovey shot amidst the pair of trees which depicts the romance between the last emperor Pu Yi and his consort Wan Rong. An interesting coral like looking structure made from a mixture of lime, eggshells and clay greeted us at the garden. On top was a little pavillion for royal R&Rs.